We boarded an early evening flight to London but of course with the time zone differences, it was 9:00am when we landed here. Although many of us were probably jet-lagged from the seven-hour flight, we decided to make the most of the continuing day. Time to be a tourist. When you visit a city that’s home to almost eight million people, it’s hard to know where to start exploring. First off we took the London ‘tube’ to the inner city of London. The delegates remarked at the differences between this mode of transportation to New York City’s Metro. Our first stop was Buckingham Palace after a short walk through surrounding park gardens. 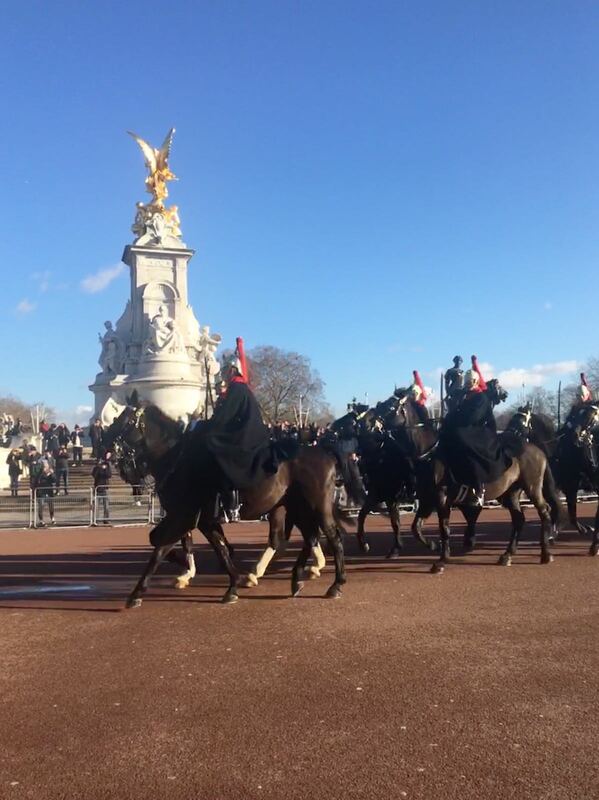 Whilst we were there, we were lucky enough to see an impressive Changing of the Guard. Next stop was the Westminster Abbey and past the Supreme Court of the United Kingdom. There were eleven giant sculptures of well-known influential figures at Parliament Square including Mahatma Ghandi and Nelson Mandela. 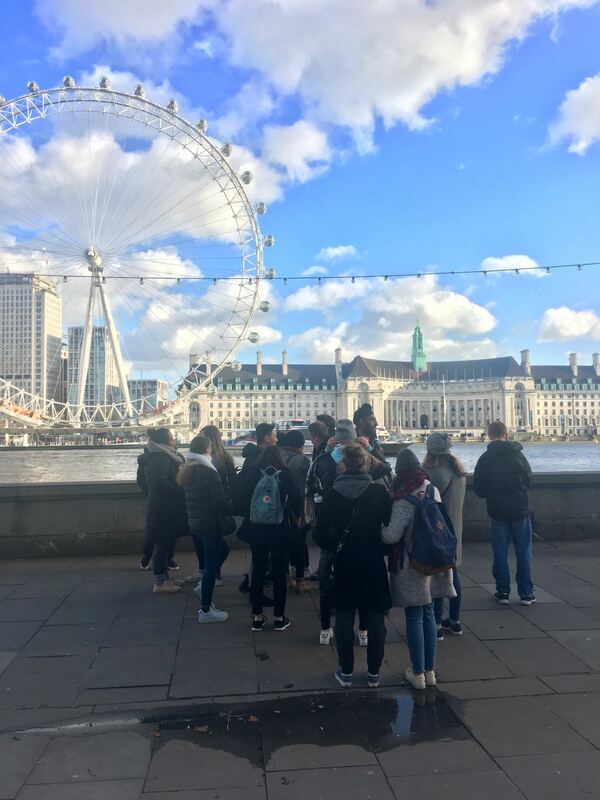 It’s not 28 degrees here but luckily with the beautiful weather, we completed our walking tour by walking past Scotland Yard, Big Ben and Westminster Bridge. We traversed to Trafalgar Square and our last educational activity for the day was going to the Natural History Museum with fascinating exhibitions on human evolution and of course, dinosaurs. Next to the Emmeline Pankhurt sculpture, outside Westminster Abbey. 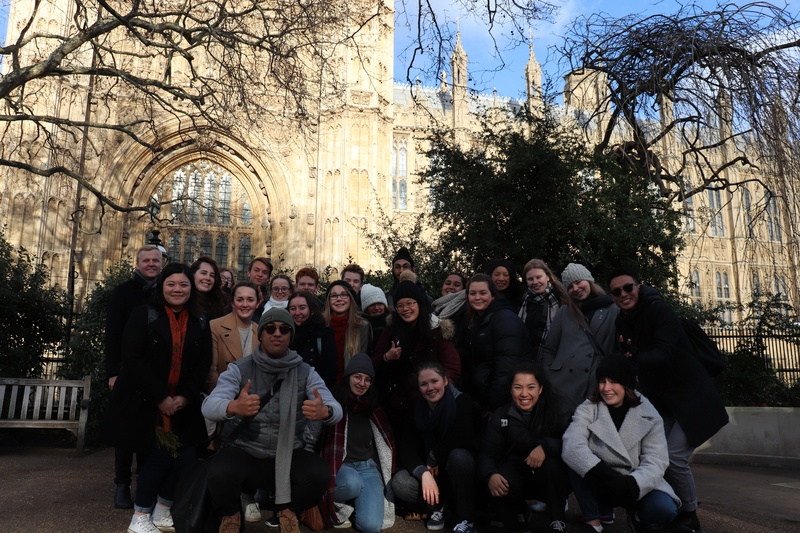 Today was very productive for our delegates and the chill definitely helped to keep us awake as we explored London. Let’s hope this weather stays with us and London treats us just as well as New York did. The delegates are very excited about a full day tomorrow of meetings and getting lots of rest!